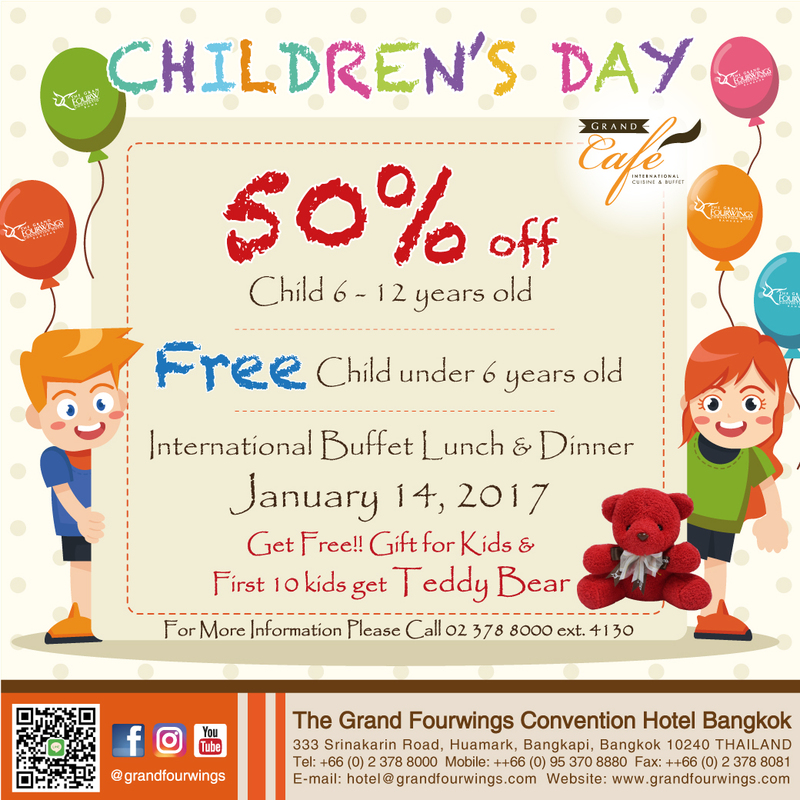 The Grand Fourwings Convention Hotel Bangkok, invite you to join with “Children’s Day” promotion special for child 50% discount on International Buffet lunch and dinner at Grand Café on Saturday 14, 2017. Enjoy a great meal with International Buffet, our restaurant provide variety of food such as “Dim-Sum” taste from traditional Chinese cuisine, “Sushi” fresh sushi station distinguish with original wasabi, “Pasta” cooking live for your special dishes and the corner of “Ice-cream homemade” you shouldn’t miss. Our International buffets are provided to serve you from Lunch 11.30-14.30 hrs. and Dinner 18.30-22.30 hrs. Get Free Gift set for kids and first 10 kids will get Teddy Bear. วันที่ 10 มกราคม 2560 เวลา 10:11 น.